Shop / Kits / Winter Wonderland-only one kit left! HURRY! Only one kit left and then we are retiring this design. A dapper little snowman offers you his winter welcome. 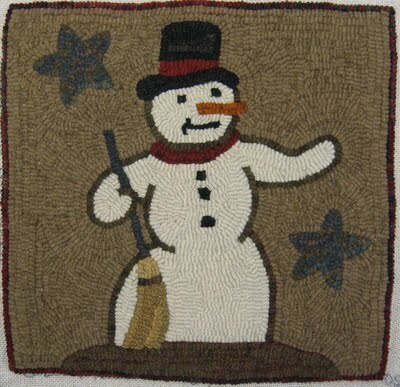 Holding a broom to sweep away the snowflakes, he’s wearing a stylish black hat with a red scarf. Twinkly blue stars shine in a taupe background.